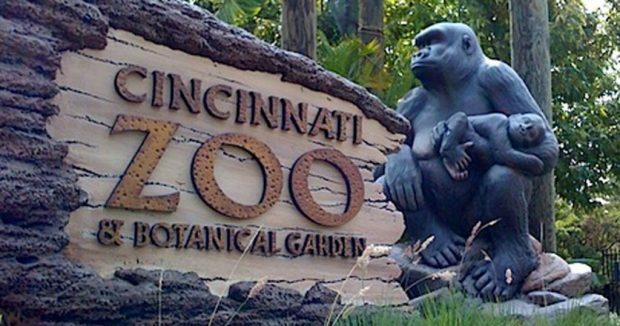 The blame train was going full steam ahead when Harambe, a 17-year-old male lowlands gorilla, was killed at the Cincinnati zoo after a small child climbed into his enclosure. Days after the incident, the train took a detour and completely derailed, but before you say no one’s to blame because this was a tragic accident, here’s what you’re missing. Once the child was in the hands of a powerful, 400-pound gorilla, authorities were right to kill Harambe to protect the child. As unfortunate as the loss is, a child’s life trumps an animal’s, even when an animal is just being an animal. Of course, when there’s a death, especially one that seems senseless and unnecessary, people are ready to express their outrage. Screen captures from video of the incident. 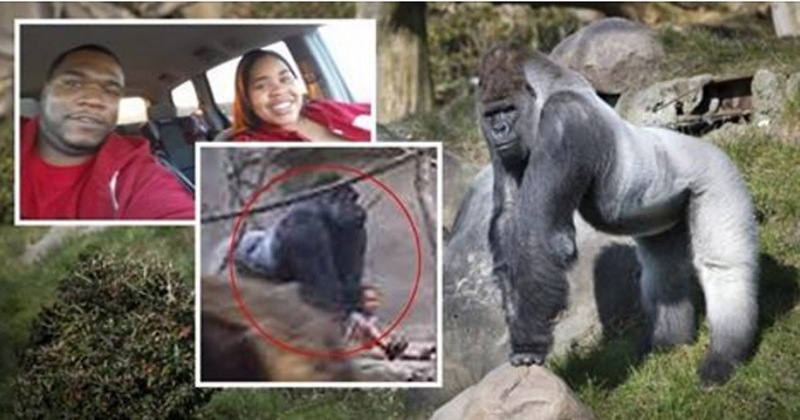 Many were quick to point the finger of fault — some aimed at the zoo and others at the child’s parents. However, as time passed, a different, much more troubling trend began. Social justice warriors became adamant that no one is to blame since it was an accident and we should quit judging. If you’ve jumped on board with that sentiment, you are part of the problem. After many years working in quality assurance, performance improvement, and prevention and resolution, I know the following for a fact, even if I wasn’t at the zoo that day. Accidents happen. However, with almost every accident, there was a failure leading to it, and it’s usually more than one breakdown that caused the unfortunate outcome. Neglecting to recognize the part everyone involved played doesn’t do society any favors. We should be picking apart everything that could have prevented this from happening — not to put someone on trial by public opinion, but to recognize what can be done so we never see something like this again. I assure you, that’s what the zoo’s risk management department is doing, and I wouldn’t be surprised to see exhibit changes in the future, making them more secure. Wouldn’t it be nice to see a barricade a child can’t easily crawl through or a sensor that alarms if something larger than 20 pounds passes it? These are issues zoo officials will contemplate because they have a duty to keep the animals and the public safe. Still, we need to take responsibility to keep our own children safe, and that involves evaluating what this mother might not have done or what she could have done better. Yes, it’s easy to play “armchair quarterback” and hindsight is always 20/20, but when did we decide that it’s impermissible to question or acknowledge mistakes for fear of hurting someone’s sensitivities — especially when it could save a life? We should recognize that children get away quickly, so you can’t turn your back for even a second. Before we take a slew of kids on an adventure, we should question how many children, including what ages, one adult can reasonably handle. Did she have a talk with the child about the importance of not crossing the barriers? That’s something each of us should now know we need to do before our next fun day at the zoo. Don’t look at this mother’s failures to fault her, but don’t dismiss them when an honest discussion could have us all considering how to avoid this situation. We should also question the reaction of eyewitnesses and what we would do differently if ever in that position. Rumors have circulated that the boy was heard saying he wanted to get into the water and was seen actively trying to cross the barrier before succeeding. Someone could have spoken up, saying in a calm and friendly manner, “No, that’s for the gorillas. You could get hurt.” Reports also indicate that eyewitnesses said the mother was distracted with other children, yet no one kept an extra eye on the boy who was adamantly trying to get into the water. Should we, as a society, look out for each other more? Another eyewitness claims, “I assumed the woman next to me was the mother, getting ready to grab him until she says, ‘Whose kid is this?’” The woman was probably fearful to grab a stranger’s child. That moment of hesitation cost Harambe dearly and could have cost the boy his life. So, if in her shoes, will you second guess yourself or grab the child? The boy isn’t free from blame either. He didn’t stay with his mother, he wandered away, he ignored barriers, and he crossed the rails. As much backlash as I’ll receive for this, I hope that when he’s well, he’s given a stern talking to about everything he did wrong, which ended up costing the only innocent being in this situation — Harambe — his life. Evaluating the behaviors of all involved, figuring out their failures and mistakes, is the key to prevention. It’s not done to be critical of others, but to think critically. This is called “root cause analysis” — problem-solving to identifying the cause of problems. Unfortunately, it’s not a pleasant process because it requires laying blame to some degree, but it’s the least of what Harambe deserves. So, the next time you want to dismiss an unfortunate event as just a “tragic accident,” ask yourself if closer consideration could prevent it in the future. If the answer is yes, it’s time to start looking for the failures, as uncomfortable as that might be.